Call 817-924-6063 or email cwh7institute@yahoo.com for dates and information. 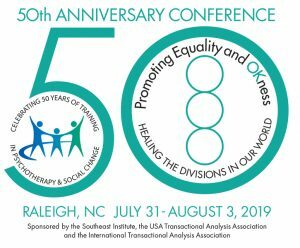 Theory and Practice of Transactional Analysis, Personal Growth Marathons, Couples Workshops, Training for Therapists offered by Southeast Institute in Chapel Hill and Asheville, NC; Nashville, TN; and Louisville, KY. This millennial edition of Introduce Yourself to Transactional Analysis covers the core concepts of transactional analysis in easy-to-understand terms. These include ego states, transactions, games, life scripts and other important concepts. 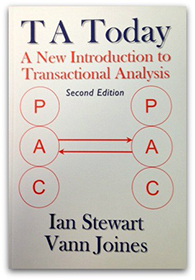 It also helps readers to understand what they can expect of transactional analysis therapy.